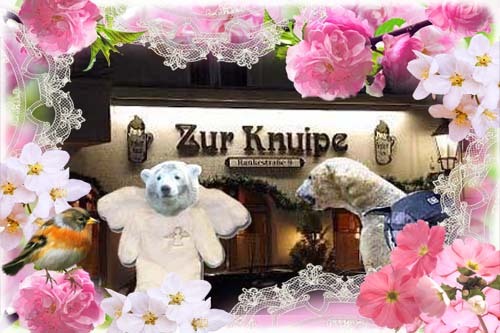 Knutitours is a site dedicated to all Knut fans – even called the Wild Herd – all over the world. On this site you will find stories of Knuti & Flocke, Chief Inspector Knuseau (often disguised as Gräfin Knuthilda von Brandenburg), reports from Knutians’ visits to Berlin, birthday greetings and much, much more. Welcome to a Magical Knuti Tour! Knuti’s Weekly Magazine is a part of Knutitours. 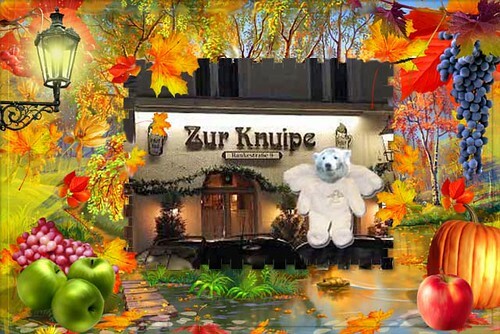 Another important part is Die Knuipe – a cosy pub where we can always have a drink but seldom something to eat. 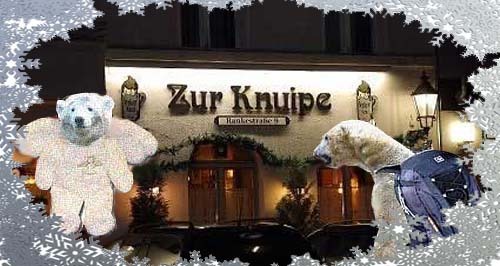 We had a fluffy waiter who had a great resemblance to Knut in Berlin. 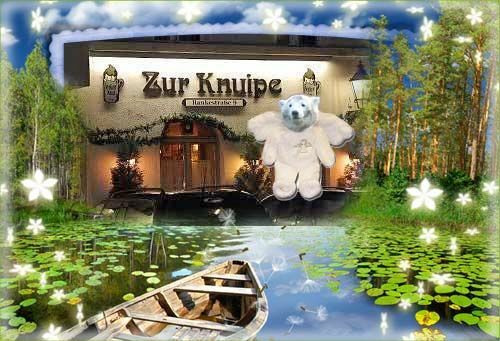 Unfortunately our dear waiter had to leave us but we now have a wonderful bear angel …… The sweet angel seems to love quality controls of food just like our waited did…. Log in | 19 queries. 0.666 seconds.